A Florida woman is thankful to be alive after having a sheet of plywood slice through her windshield while traveling on I-95 near Rockledge. Florida Highway Patrol troopers say the plywood fell from the bed of a truck that was traveling down the highway and then went through the windshield of a Honda that was traveling behind the truck. The driver of the truck received a ticket for improperly securing the load. 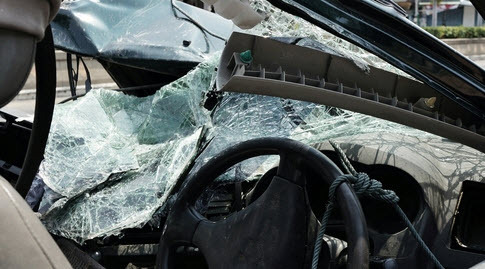 Who Is Liable When Debris Falling Off a Vehicle Causes an Accident? When a commercial vehicle, such as a semi, takes to the road, there are a variety of parties involved in loading, securing, packing, and transporting the load. If that cargo, or parts of the load, fall off the truck, hazardous road conditions can result and lead to serious accidents. In these situations, it can be difficult to determine who is liable. In Florida, drivers are responsible for ensuring their cargo is secured. If they fail to do so and their negligence results in an accident, they can not only be found liable for the accident, but they may even face criminal charges. These laws apply to commercial and non-commercial drivers. Stay a safe distance away from vehicles that are carrying cargo. Only attempt to navigate around debris that would cause damage to your vehicle because swerving to miss debris may result in a collision with another vehicle or object. Stay alert along the horizon and the immediate foreground of any potential hazards. Many of us have seen objects fall off of a truck, and often the driver remains unaware that it has even happened. So, what happens if the object that falls off their truck hits your car and they keep going unaware that they have caused an accident? You will still be able to file a claim with your insurance using your uninsured motorist coverage if you have this type of coverage. It is optional and not a requirement of the law, but is good to have, especially in the event of accidents such as this. Another important thing to remember if you are involved in such an accident is to not wait to file a claim. Check with your insurance agent immediately and see how long you have to report the incident. If you fail to comply with your policy, you may not get the compensation that you would otherwise be entitled to. If you have been injured by debris that has fallen from another vehicle, you may be entitled to damages for your injuries. The Florida attorneys at Leifer Law Firm can investigate your case and determine who the liable party would be in your accident. Contact our office today to schedule a free and confidential consultation.